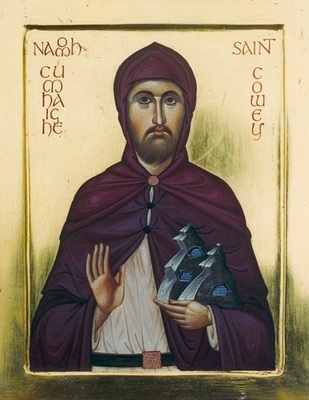 St. Cowey is a little-known monastic saint who lived near the tip of the Ards Peninsula in the late 7th and early 8th centuries. For many years he labored there as a hermit. Three holy wells are still to be found where he lived, as well as an ancient church built amidst them, which looks eastward over the Irish Sea.